PARENTS have been warned about a potential "choking risk" posed by a popular children's toy sold at Target. 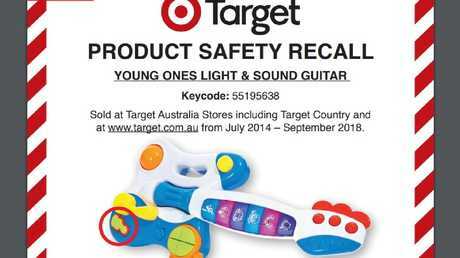 The Young Ones Light And Sound Guitar, which was sold by the discount department store chain through its Target Australia, Target Country and online stores from July 2014 to September 2018, has now been recalled. The alert was issued by the company after it was discovered a small part of the toy could "detach with applied force", which "may pose a choking risk to small children". As a result of that dangerous defect, the store now recommends families "stop using the product" and instead return it to a Target branch "as soon as possible". Australians who return the item will receive a full refund from staff. A receipt is not needed to claim the refund. For more information call Target's Customer Support Centre on 1300 753 567 or visit the company's website. 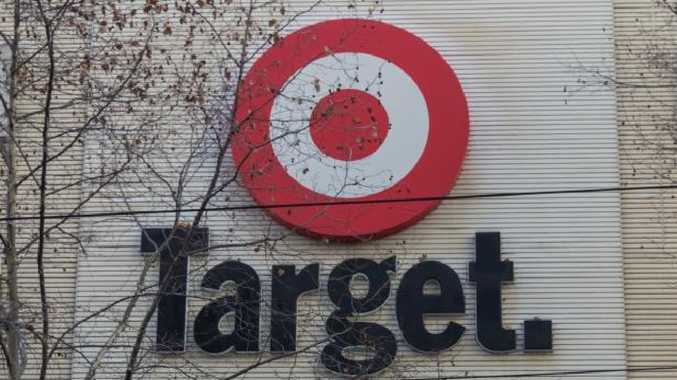 The latest announcement follows a similar recall of Target's two-way zip baby overalls last month, amid fears the clothing's zipper could snap off and pose a choking risk. For more information about other items recalled in Australia, visit the government's Product Recall Information site. News WARWICK'S biggest employer is aiming to grow production by 40 per cent and it's going to need more hands on deck very soon.